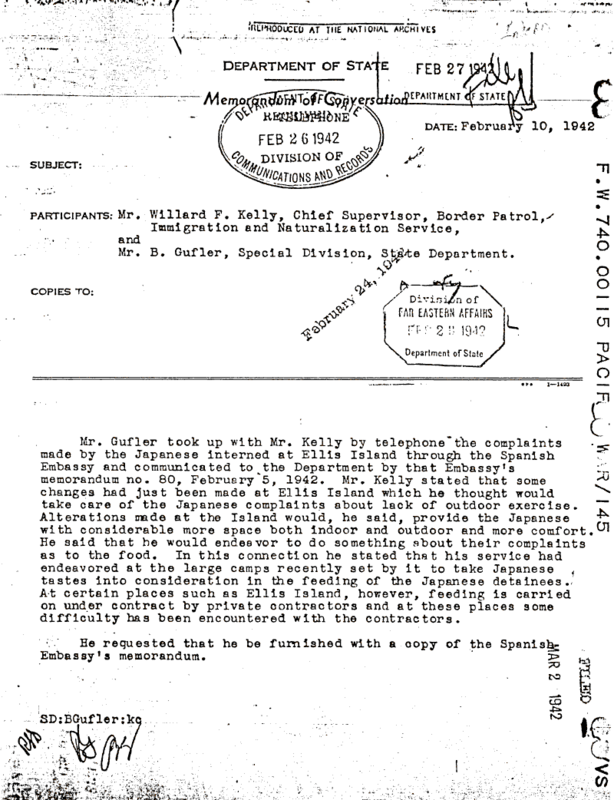 Document Notes: The Spanish Government represented the Japanese interests in the U.S. It also was involved in collecting and transmitting intelligence for the Japanese after the evacuation. The contrast between how Japanese expected to be treated and fed with how they treated and fed alien nationals under their control in Asia is astounding.